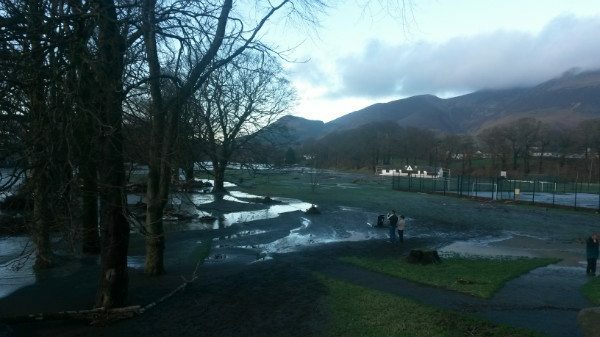 Keswick often features on television because of the natural beauty of the surrounding countryside, but last December it featured for the wrong reason – flooding. 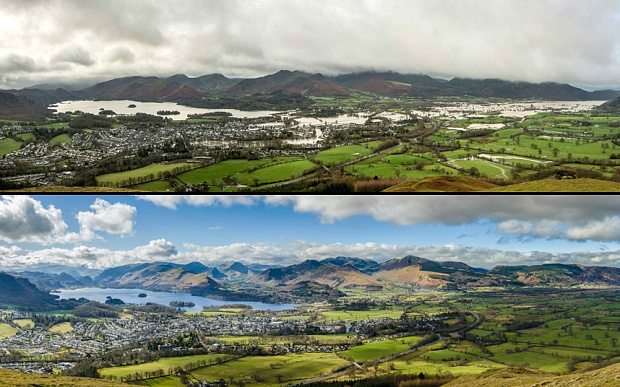 After several weeks of bad weather, Atlantic storm Desmond hit Britain, and on December 5th dropped record amounts of rain on Cumbria. The already swollen rivers simply couldn’t cope with the deluge and the result was widespread flooding. 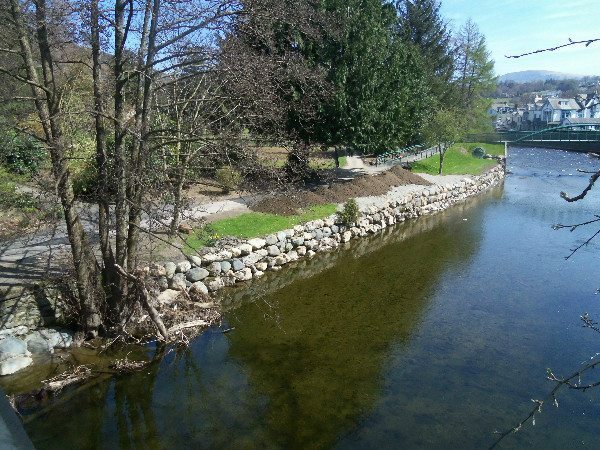 Now Keswick is no stranger to floods or the clean-up process – serious flooding in 2009 had resulted by 2012 in the construction of new flood defences including higher walls alongside the river and flood gates. Apparently, though, no-one had quite envisaged that so much rain would fall, and eventually the water simply rose too far. It was Fitz Park that bore the brunt of the torrent. Sitting directly alongside the river and relatively low-lying, it forms as near to a flood plain as the River Greta has. Both foot bridges in the park were damaged, with one washed clean from its foundations (it has since been removed totally). The lawn tennis courts and one bowling green were irreparably damaged, whilst the riverside footpath was washed away in a couple of places. Fortunately for cricket fans, the cricket ground escaped relatively unscathed, despite being right next to the river. The neighbouring football pitches, however, were not so fortunate and suffered repeated flooding throughout December and January. In terms of the town itself, it was the High Hill and Crosthwaite Road areas that suffered most. Here, where the river curves round before being squeezed under the main road bridge, was where water levels reached their highest, not helped at all by the amount of debris coming down stream. The Pencil Museum was badly hit, as were all of the properties facing the river along that stretch. The flood waters then flowed towards the town centre and hit several shops, most notably the town’s only 2 supermarkets, the Co-Op and Booths. Fortunately, the main part of the town stayed unaffected. The surrounding area was similarly affected. 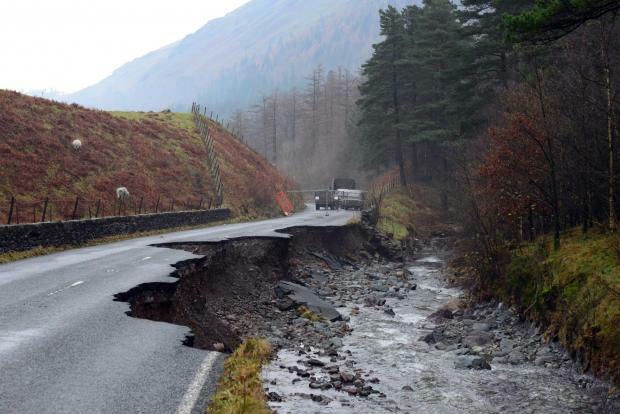 As has been widely reported in the national press, the A591, the main road through the Lake District linking Keswick to Ambleside and Windermere in the south, was partially washed away at Dunmail Raise. 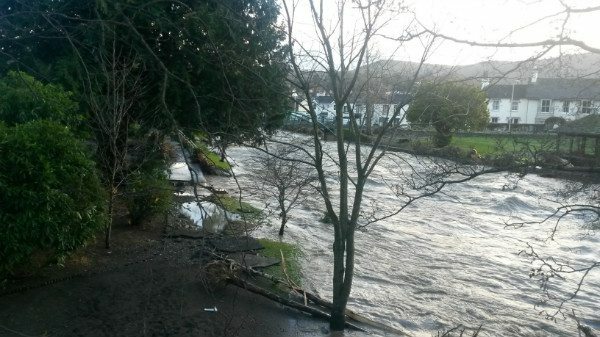 The popular Keswick-Threlkeld railway line path was also badly hit, with 2 bridges being washed away and a third badly damaged. 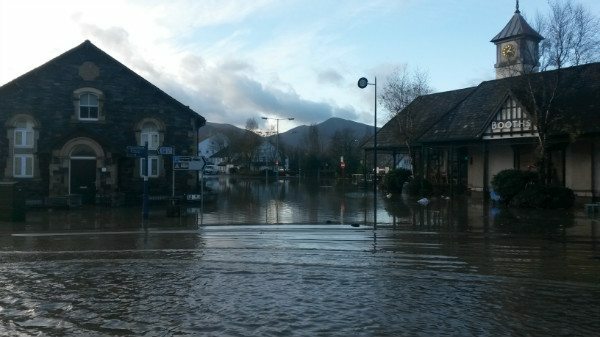 The nearby village of Glenridding, by Ullswater, was probably the worst affected of anywhere, being hit by major flooding 3 times during the winter. It’s now 4 months later, however, and the picture is looking far better. 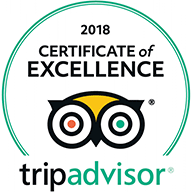 The Environment Agency have been very busy in the meantime, and much of the debris has been cleaned up and footpaths restored where possible. 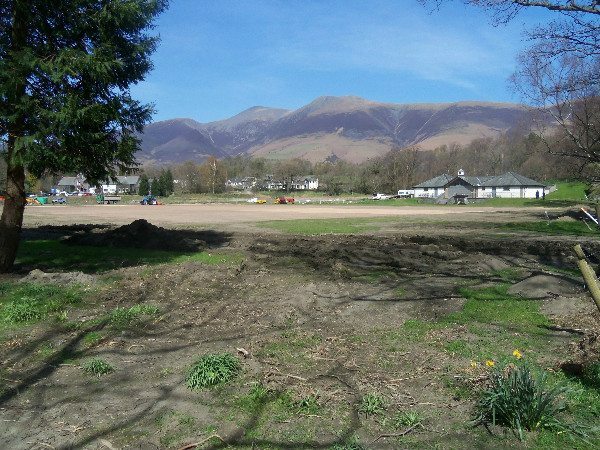 The tennis courts and bowling greens still remain closed, but work continues to clean up and restore Fitz Park and the Keswick FC football pitch (which is being totally re-laid). Both the Co-Op and Booths have re-opened after being totally re-fitted, and all but one of the affected smaller shops are back in business. Work is ongoing at the Pencil Museum to get up and running for the main holiday season. 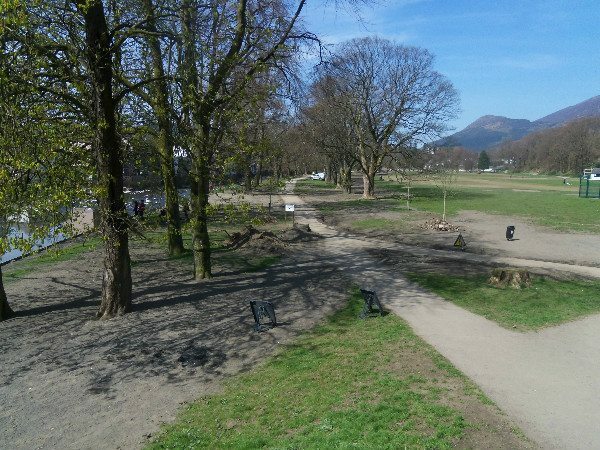 The railway path is currently partially open, with the boardwalk section near Keswick recently repaired, although it will obviously take some time to replace the 2 lost bridges, both of which were original Victorian structures. The A591, however, is due to re-open in May after being totally re-built along a mile and a half stretch. The important thing, though, is that for most of us, it’s business as usual!